James Bond’s latest hit, Spectre, was shown in theaters in England on October 26, 2015 and in the United States on November 6, 2015. Spectre was the number one top grossing movie for two weeks after it was released. It has made just over $750 million globally. Daniel Craig is arguably the best James Bond actor thus far, and many Bond fans were very disappointed when it was announced that Craig would most likely relinquish the Bond role. Once he hinted that he might go into retirement, people began to become extremely excited about the movie but sad at the same time. Despite this being his last movie, Spectre did not live up to the expectations. The movie is very good for the most part, but I put the James Bond series on a higher pedestal than many other movie series because of the tradition and prestige. I felt as if Daniel Craig would exit the Bond role in a more glorious way. There is the beloved, classic James Bond that the fans and the audience has seen in the past movies. 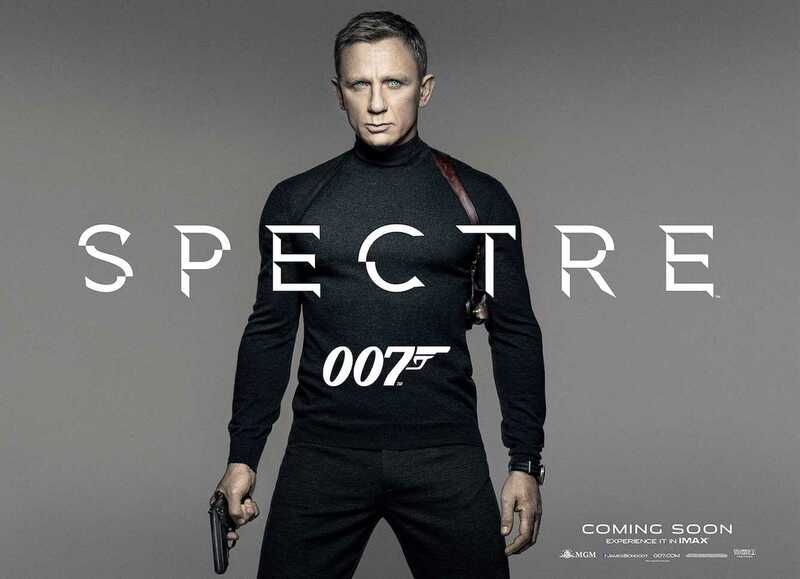 Spectre still has plenty of action scenes for the audience to enjoy and the thrilling aspect of the Bond series. There are massive explosions and exciting car chases throughout the movie that keep the audience entertained. Everyone loves the action scenes in James Bond and it is always my favorite part of any Bond movie. I felt Christoph Waltz portrayed the villain, Blofeld, very nicely, and I was happy to see Blofeld return to the Bond series. For those that do not know, Blofeld was an enemy to Bond throughout the sixties and into the eighties. Blofeld is the most infamous villain in any James Bond movie. Tiago Rodrigues, who played Raoul Silva in Skyfall, and Christoph Waltz were the best villains in this Bond series. I really like how the writers focused on the darkness that James has inside of him. In the Daniel Craig series, there was a much more serious tone in comparison to the other Bond actors. All of the recent movies depicted the dark side in him and showed that he did not have a good childhood. The “shadows” is the word often used to describe James and is a nice subplot to all the movies. The link between Madeleine Swann and Mr. White threw the audience for a loop, and that was a nice twist in the plot. Mr. White appeared in Casino Royale and Quantum of Solace and was always a brutal enemy to James and MI6. In Spectre, Mr. White helps James find his daughter, so she be protected from Blofeld and the Spectre organization. Out of the four Daniel Craig movies, Spectre is probably the worst. Skyfall just edges Casino Royale as a personal favorite. Skyfall had that classic, vintage Bond feeling to it and was also the 50th anniversary of the Bond series just before it was released into theaters. Quantum of Solace is inserted as the third best just because a reviewer must see Casino Royale to understand the plot. A viewer must watch the other the three movies to fully understand the diabolical plot in Spectre. Blofeld ties and brings up former events that occurred in the other movies. I did not like how you must watch all the other Bond movies to know what is happening. Also, I am not a huge fan of any movie series that does this, but that is just a personal preference. If a viewer misses a movie in the series, he will be completely lost in the next movie. To start off the movie, James was in Mexico City. He then shot into a building full of people that were about to blow up a soccer stadium in South Africa. After he fired his gun, it blew up the entire building causing it to fall into another building. Mass chaos ensues, but nobody in the street seems to notice. James just casually walks away from the rubble of the building. I also noticed that every a part of the Spectre organization wore a ring that contained an octopus, but none of the other criminals from the past three movies wore this ring. Since Le Chiffre, Dominic Greene, and Raoul Silva never had this ring, this shows a large plot hole in Spectre. Once James killed the other three villians from the past three movies, he would have noticed that they were all wearing this ring. One of the biggest problems I had with the movie was the purpose of the organization Spectre. They seemed to just be a world terrorist group that wreaked havoc around the globe. Also, Blofeld is the “author” to all of James’s pain. Trying to shoehorn all four Bond movies into one continuity was a huge mistake on the writer’s part because it suggests that Blofeld somehow manipulated all the events that led Bond to each villain, which clearly is not the case. Agreeing with my entire stance on the movie, Balie Crim said, “Spectre was a pretty good movie, but there was not anything special for a Bond movie. It felt like it was just another one.” There is rumor that Daniel Craig might return because he said in an interview “Well, I’m not gone yet.” Almost every single James Bond fan would like to see him stay. It was definitely a movie that is worth seeing, but a viewer should not expect the results of Skyfall and Casino Royale. James Bond has higher expectations and has set the bar high in the past, but every great movie series has a slip up here and there. I am not too worried about what will be next for series because it always reestablishes itself.